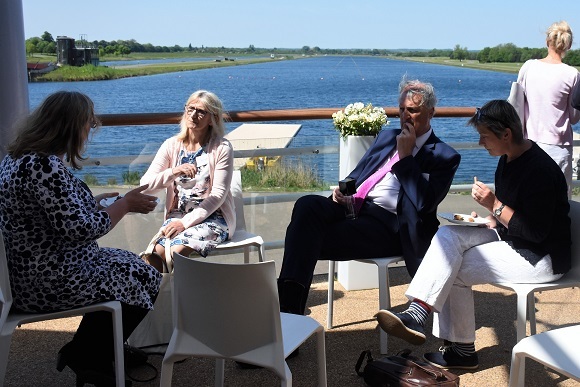 An enthusiastic group of 60 vascular surgeons and aesthetic doctors and nurses gathered at the stunning Dorney Lake Conference Centre for the BAS 2018 conference on 15th May. We welcomed members and non-members from throughout the UK and Ireland – and a few travelled from further afield to update their knowledge and learn from experts in the field. A comprehensive agenda of presentations included treatment options for varicose veins, perforating veins, leg ulcers and lymphoedema, venous anatomy, the use of Doppler and duplex ultrasound imaging, pre-treatment counselling, avoiding complications, sclerosants, and how the new GDPR 2018 regulations will affect delegates’ practices. Delegates appreciated the opportunity to observe experienced practitioners demonstrating Foam and Microsclerotherapy techniques, as well as the option to undergo their annual Basic Life Support refresher training. Videos of some of the demonstrations and presentations will be made available on the BAS website. Guest speaker Mr Jonothon Earnshaw (Consultant Vascular Surgeon, Gloucester Royal Infirmary) opened the meeting with an enlightening presentation comparing foam sclerotherapy with endothermal (laser), glue and surgery for varicose veins treatment. He concluded that foam is good for recurrent veins, non truncal veins, varicose ulcers, cross groin collaterals and spider veins, not as effective for large veins (lower occlusion rates, higher risk of thrombophlebitis), extensive bilateral veins (needs lots of sessions), people looking for cosmetic outcome or a quick fix, or people with thrombophlebitis. The EVRA trial showed that early endovenous ablation of superficial venous reflux resulted in faster healing of venous leg ulcers and more time free from ulcers. He went on to discuss the treatment of perforating veins, saying perforators mostly have valves, can be treated with foam but most don’t need treatment. If treating, press over the perforator and treat above and below it. Dr Stephen Tristram (Chairman of the BAS and Associate Vascular Physician at The Hampshire Clinic) demonstrated how to use a hand-held Doppler device to evaluate venous incompetence & flow and ABPI. 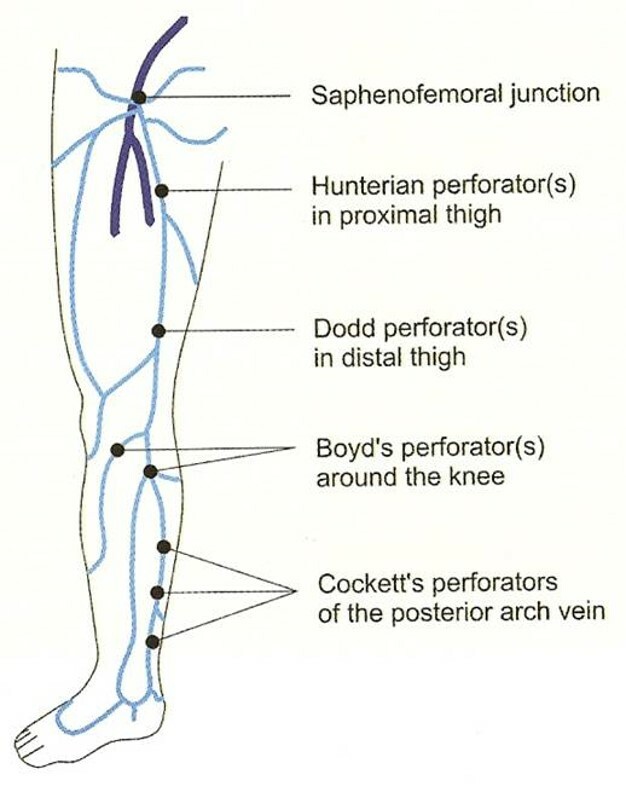 He showed how, with the probe at a 45 – 60 ° angle, to listen for reflux in the femoral artery, the popliteal artery and the popliteal vein. Truncal veins produce a higher pitch, he pointed out. The ratio of brachial to ankle pressure should be between 0.8% and 1.1%. <0.8% suggests arterial disease, >1.3% and incompressible arteries indicates hardening, and do not apply compression if the ratio is less than 0.5% . Anyone who wanted a hands-on practice with a Doppler was invited to attend the Ultrasound Technologies stand during the meeting. Delegates were especially grateful for the clarity brought to the upcoming GDPR 2018 regulation by Naomi Di-Scala (Aesthetic & Claims Manager, Hamilton Fraser Cosmetic Insurance) in a talk about the main principles and what clinics need to do to comply. The regulation applies to the processing, storage and security of all patient personal as well as sensitive data, she explained, and penalties for breaches can be stringent. Paper records should be locked away, and electronic records password protected and ideally encrypted. No information not relevant to the treatment should be recorded, medical records must be kept for 10 years but marketing information may only be kept for up to 3 years. Anyone can request a copy of the information you hold on them. Guest speakers Monica Smith (Clinical Trainer, Medi UK Ltd.) and Judy Holdstock (Senior Vascular Scientist, The Whiteley Clinic) spoke on Modern Management of Lymphoedema and Complete Ultrasound Evaluation respectively. Monica shared solutions for everyday and complex clinical solutions, such as UCS for wound debridement, suggesting it is used at every dressing change to save time and improve skin condition, as well as allowing self-care as it is safe and simple to use. Juxta-Fit for compression with chronic oedema patients also enables self management and has proven effectiveness compared to bandages (Partsch & Damstra 2013). She went on to compare flat & round knit compression hosiery. Judy’s engaging and informative presentation explained what could be ‘hiding’ beneath thread veins. She explained ‘extended’ venous duplex ultrasound scanning, small vehicle and pelvic reflux patterns, and how venous incompetence mapping allows appropriate treatment of the underlying condition. Dr Martyn King (Aesthetic Physician, Cosmedic Skin Clinic) shared ideas on additional therapies that aesthetic practices might offer sclerotherapy patients, suggesting that practitioners ‘think outside the box’ to identify other needs alongside the presenting problem. He went on to highlight complementary treatments offered at his own aesthetic clinic, such as lipolysis for fat reduction, celluerase and mesotherapy for cellulite, skin care products and laser hair removal. Joining us from Northern Ireland, Mr Colin Weir (Consultant Vascular Surgeon, Craigavon Area Hospital) offered pragmatic advice on foam sclerotherapy, encompassing patient selection and contraindications, managing expectations, his foam technique, and compression. He advocated injecting small volumes (2 ml each site) and the use of tumescent anaesthesia (225 mls N saline, 25mls 1% Xylocaine with adrenaline, injected around the vein). In a novel addition introduced at this meeting, interested delegates were offered the chance to re-certify their Basic Life Support skills. After a quick bite of lunch they gathered in a breakout room for the optional one-hour session. The workshop was enlivened by an engaging trainer, and delegates appreciated his use of humour to make it a memorable and enjoyable session! Others chose to make the most of the venue and weather to network and enjoy the sunshine and beautiful view while lunching on the balcony. Lunch was followed by the always popular practical demonstrations. Mr Philip Coleridge Smith demonstrated USG foam sclerotherapy, while in parallel sessions Julie Halford (RGN) and Claire Judge (RGN) performed microsclerotherapy. The relatively small groups allowed observers to view the procedures close up and to comment and question the experienced practitioners in real time – an approach that many found invaluable. The afternoon presentations commenced with Dr Mike Watkins (STD Pharmaceutical Products Ltd.) speaking on the history, mode of action and UK licensing implications of sclerosant drugs. As he explained, “Fibrovein is the only sclerosant licensed for use in the UK, and practitioners must have a medical reason for using an unlicensed product. The MHRA states that unlicensed medicines should not be used for cosmetic purposes.” He went on to clarify the GMC guidelines for prescribing an unlicensed medicine, namely, when the practitioner is satisfied that an alternative, licensed medicine would not meet the patient’s needs, there is a sufficient evidence base and/or experience of using the medicine to demonstrate its safety and efficacy, the prescriber takes responsibility for prescribing the medicine and for overseeing the patient’s care, including monitoring and any follow up treatment, and makes a clear, accurate and legible record of all medicines prescribed and the reasons for prescribing the medicine. Following on, Dr Stephen Tristram (Associate Vascular Physician, The Hampshire Clinic) started his presentation on how to avoid complications of sclerotherapy for telangiectases by saying, “Superficial veins are probably the most unsatisfactory problem in venous clinical practice. Hated by patients, very satisfying to treat, but can be very difficult and occasionally a source of huge patient dissatisfaction”. He went into detail about risks, and discussed compression. Touching again on expectation management he shared handy tips on words to avoid using, including ‘disappear’, ‘gone’, ‘cure’ ‘never’ or ‘always’. Instead, he suggested ‘improve’, ‘much better’, ‘more comfortable’, ‘usually’ and ‘we can look after your legs’. Mr Philip Coleridge Smith concluded with an excellent presentation on Venous Anatomy of Telangiectases and Reticular Veins. Explaining types of deep veins, superficial veins and perforating veins, he showed the audience a series of very clear diagrams and duplex ultrasound images of normal and abnormal veins. The conference was kindly sponsored by Std Pharmaceutical Products, Credenhill, Sigvaris, Q Medical Technologies, Ultrasound Technologies, and Hamilton Fraser. Delegates were very interested in the products showcased. Click here for sponsor contact details.